Master plan for the construction of a new multifunctional medical center. 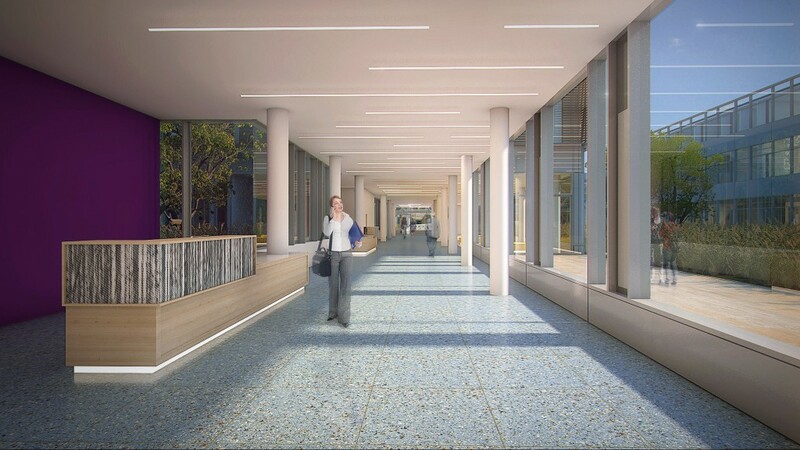 The exemplary new medical center in the north of St. Petersburg will meet the latest medical standards for central Europe, ensuring that the surrounding region and country can provide its military and civilian populations with quality medical care. The plan also includes buildings for research and teaching, as well as student and staff accommodations on this site with its convenient transport links – close to the KAD (St. Petersburg ring road) and Primorskoye shosse, within the Gorskaya recreation area. In the northern part of this area, the new hospital and medical center form a single functional unit. A generous green arterial pathway connects all areas and defines the transitions between the different departments. 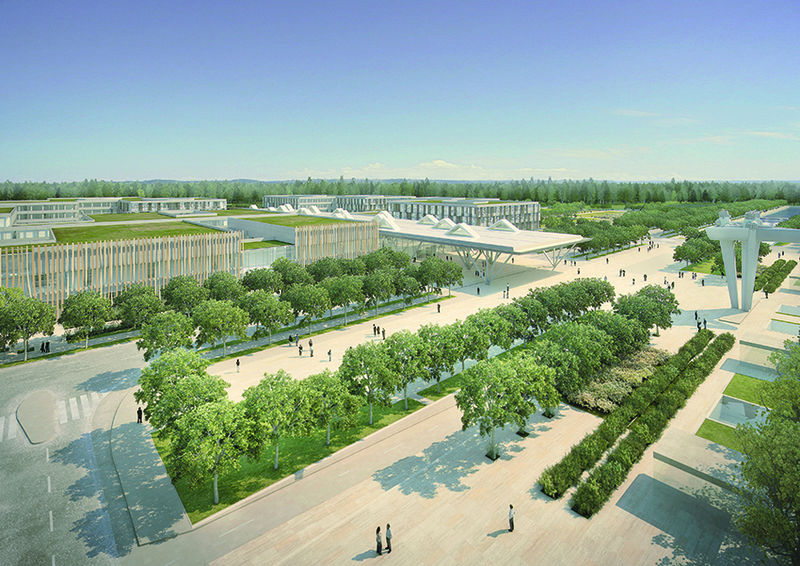 The complex is approached from a central square, through which a boulevard links the residential area to the east with the research and teaching campus to the west. 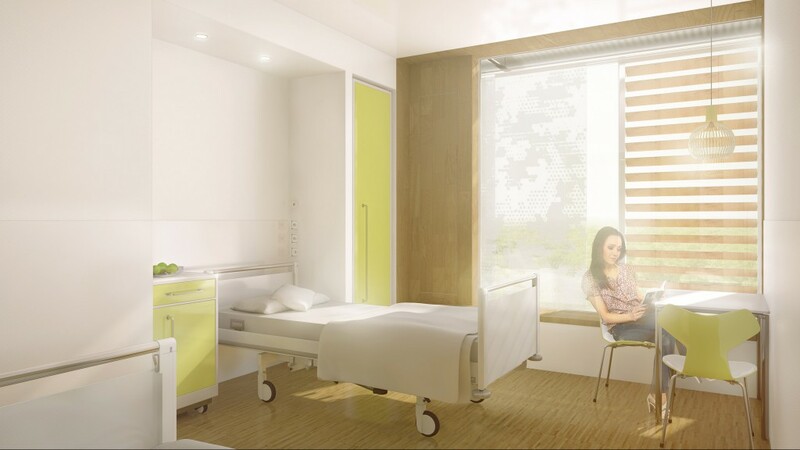 A modular structure was developed to guarantee the optimal integration of health care and scientific activities. This modular structure will ensure the best possible care for patients, flexibility that will allow for the highest of technological and medical standards, and will also give the clinic a harmonious and characteristic face. 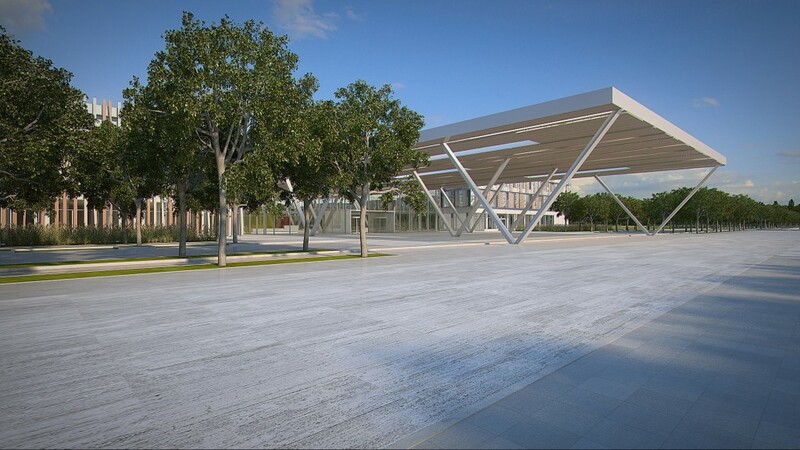 The various stations create areas that reflect the design principle of the new city in small format. The idea of a modular structure has functional uses, as a space for future developments. It also supplies a recognisable familiarity and orientation of the buildings on the city of St. Petersburg. Medical focal points, so-called centers, are units that are not isolated but bundle self-contained functions. The modular design creates interfaces where these centers are intelligently interfaced. They allow an exchange of people and information over the shortest possible paths so that synergies can be realised.